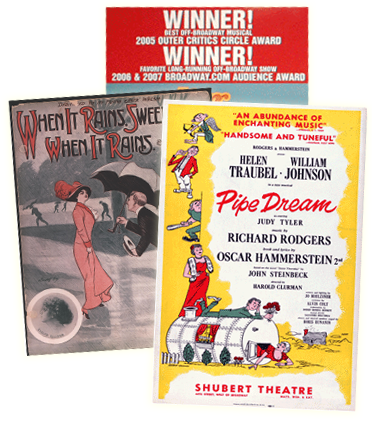 Musicals by Michael John LaChiusa now available for licensing from R&H Theatricals Europe! R&H Theatricals Europe are delighted to now represent SEE WHAT I WANNA SEE, FIRST LADY SUITE, HELLO AGAIN and LITTLE FISH by Michael John LaChiusa. SEE WHAT I WANNA SEE, a musical about lust, greed, murder, faith and redemption, was named by New York Magazine as one of the Best Musicals of 2005 and nominated for nine Drama Desk Awards, including Best Musical. FIRST LADY SUITE is an enthralling look into the lives of some of history's most neglected figures, the wives of U.S. presidents. HELLO AGAIN is a series of love affairs among ten characters during the ten different decades of the 20th century. One character from each scene moves on to the next, seemingly dumping their old partner in favour of the new alternative. In LITTLE FISH Charlotte decides to give up smoking and she doesn't realise quite how difficult it will be. As she attempts to fill her nicotine-starved days, the events of a troubled past slowly begin to resurface. Click here to explore these works and more by Michael John LaChiusa. To apply for a licence please click here.